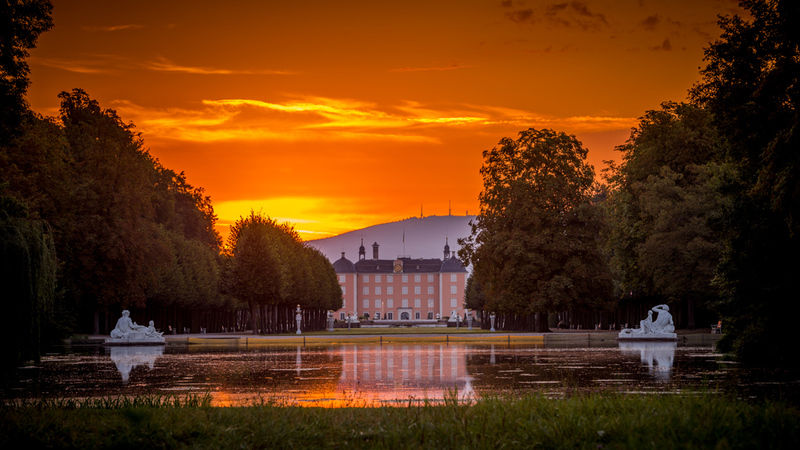 Schwetzingen palace and the palace garden can tell many stories. About English and French garden art or about the life at the court of an electoral summer residence. And also stories not so well known about the people who make sure that taking a leisurely walk in the palace garden will never lose its attraction. The white stags and the other fountain figures have been hiding away from the winter cold under white wooden coverings for a long time. But when the first tentative sun rays find their way through the garden and the first buds burst open on the trees, there are more members of the garden staff than visitors in the garden in some of the mornings. A flowerbed is made here, a new well system is installed there – because when the temperature rises things will get crazy around here. At Easter and of course during the whole summer the palace garden becomes the place to go for lovers of garden pleasures. 725,000 people took a leisurely stroll in the palace and garden in 2016, yet again even more than in the years before. 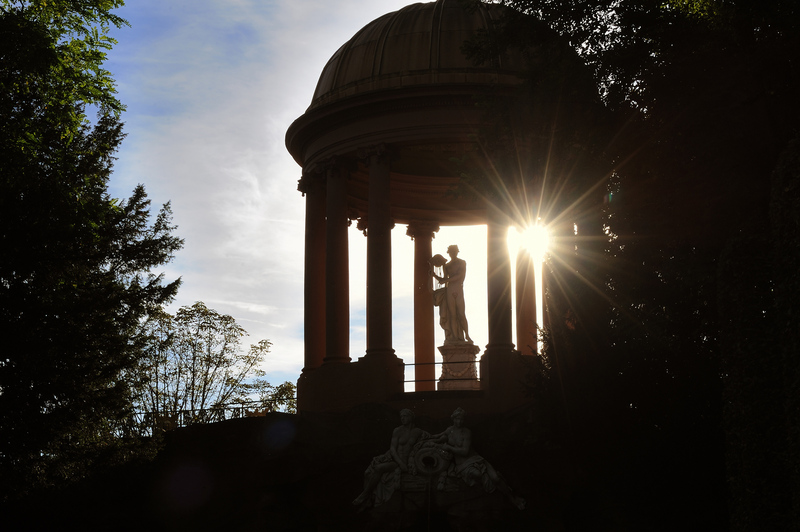 Sandra Moritz, head of the palace administration in Schwetzingen, loves both: the tranquility of the low season and the hustle and bustle in the springtime and summer. “The change is perfect,” she says. Her favourite time of year is of course autumn. It is the only season in which she finds the time to take a leisurely stroll in the garden herself. And then her way almost always leads her to the Minerva Temple with its white, Corinthian pillars. “In the early morning, when the wafts of mist hover around the temple – it becomes an enchanted place,” Sandra Moritz says enthusiastically. She has not much in common with the image one might have of an administrator. Instead of the conservative business outfit she wears wide trousers, cool boots, her hair cut short. Her tread is firm, her handshake as well. She laughs often and much – and with each word and each gesture you realise: this woman is committed to what she does carrying out her work with a lot of energy and lifeblood. “Like everyone here,” she says and goes into raptures about her 35 “absolutely extraordinary” staff members without whom it would not at all be a pleasure here in the garden. 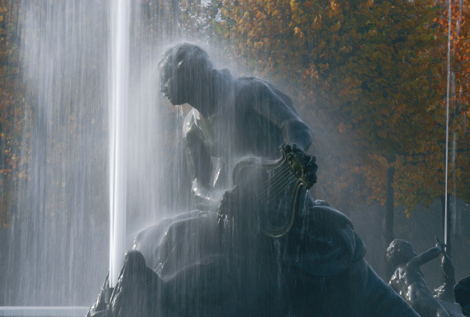 Being extraordinary – is a fairly good description for Wolfgang Schröck-Schmidt. For 25 years he has been part of the palace garden team. As a student of art history he started working here as a palace tour guide and never wanted to leave. “They never get rid of me,” he says dryly. To go through the palace and garden is like travelling through time. Most of all, the 57-year-old loves to travel into the 18th century when Carl Theodor (1724-1799) resided here and the entire Electorate Palatinate flourished. More than 25 years part of the palace garden team: Wolfgang Schröck-Schmidt. Wolfgang Schröck-Schmidt makes people come to life and he makes the visitors envision how Carl Theodor is sitting here on his sofa vividly in discussion with Voltaire and developing revolutionary ideas.
. “The abolition of torture, the agricultural reform, the foundation of the Academy of Sciences – all of this took place during his regency.” No question: culturally the region was in a boom-time then. The electoral prince promoted new forms of art and music. 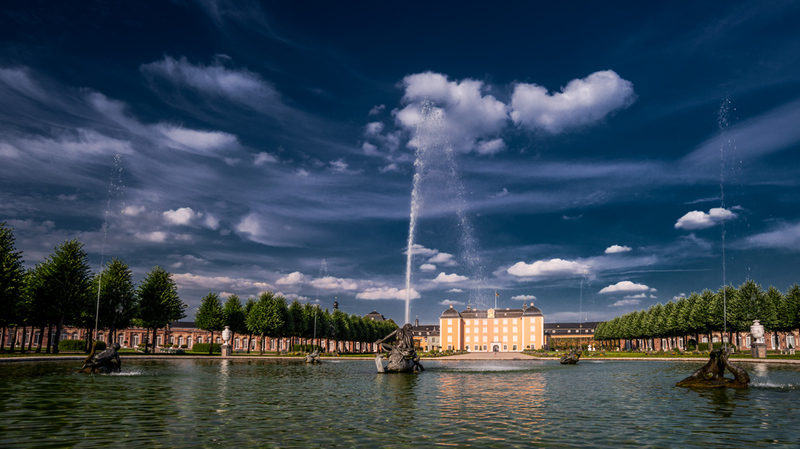 Numerous artists, musicians, poets and philosophers, amongst them Wolfgang Amadeus Mozart and Friedrich Schiller, visited Schwetzingen Palace. But it is not just the classic stories which you can learn here. “The electorate prince’s bedroom was the site of a double murder in 1764,” as a courtly criminal story begins. It was here where the personal physician Franz Bechtler attacked the valet Dominik Pierron and stabbed him with a dagger. Afterwards he stabbed himself. While dying a servant is said to have told him that Pierron was to survive the attack, Wolfgang Schröck-Schmidt tells us. “Then Bechtler said: ‘I am a doctor. I know where to stab.’” The castle guide smiles. He likes stories like this one. Which not only entertain but tell us something about this time and its people. In this case “about the incredible sense of honour which people had back then.” That is, since Pierron is said to have consulted another physician before. 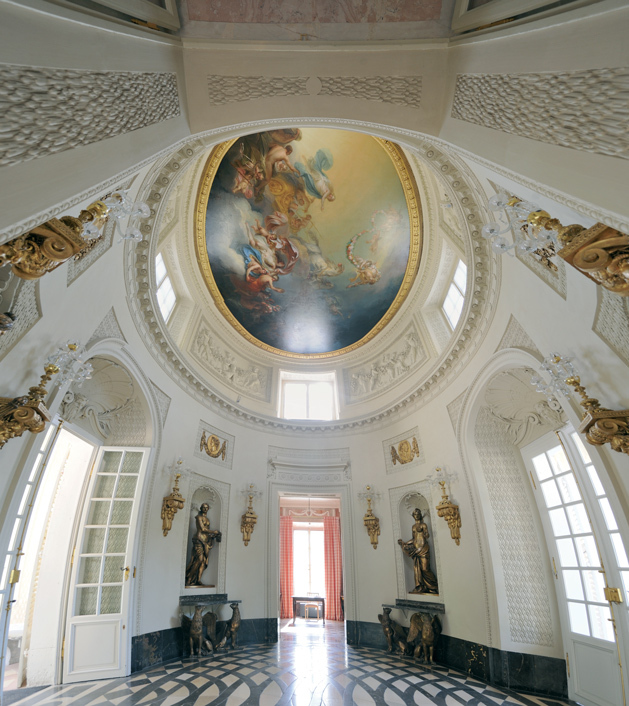 “Schwetzingen Palace is a real gem,” palace administrator Sandra Moritz says. 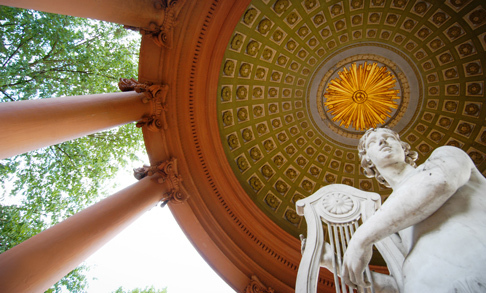 “As a summer residence it is not built to be as magnificent and representative as possible, but it notably has a more intimate atmosphere and allows a much more private insight. 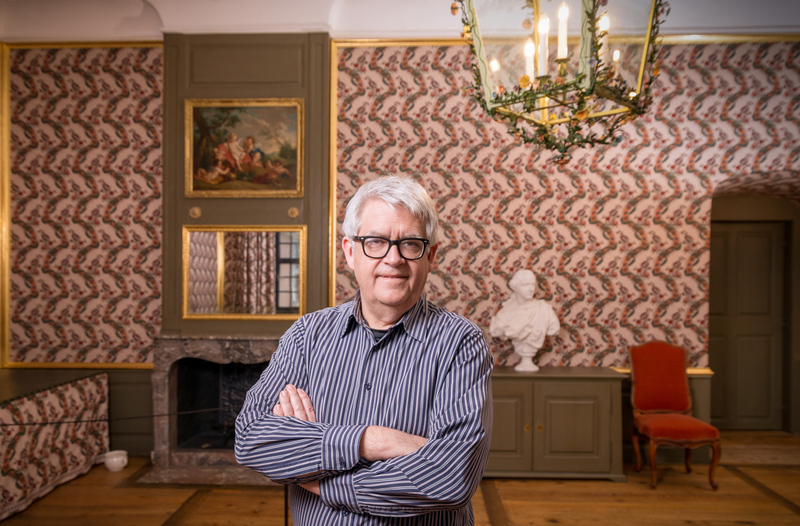 “When you have done this for 25 years,” Wolfgang Schröck-Schmidt says, “you are always on the lookout for new anecdotes, otherwise you not only bore the visitors but yourself, too.” And the art historian gathers all the historical bits and pieces that he can possibly find. His office at the end of the wooden staircase, which leads into the second floor from behind the electorate princess’s sewing-room, is crammed with the history of the Electorate Palatinate. And you can even learn from him who of the members of the electoral family had affaires and with whom. Wolfgang Schröck-Schmidt’s favourite place in the garden is the Temple of Botany, a little remotely situated at the northern edge of the park. It is located next to the artificial ruins of a Roman water castle in between high trees and gentle hills with a creek meandering through them. “Friedrich Ludwig von Sckell made it wind through here,” Wolfgang Schröck-Schmidt explains. The court gardener had previously spent some years in England. The outlines here are not as clearly geometrical as in the rest of the garden, but a bit more curved, more natural. 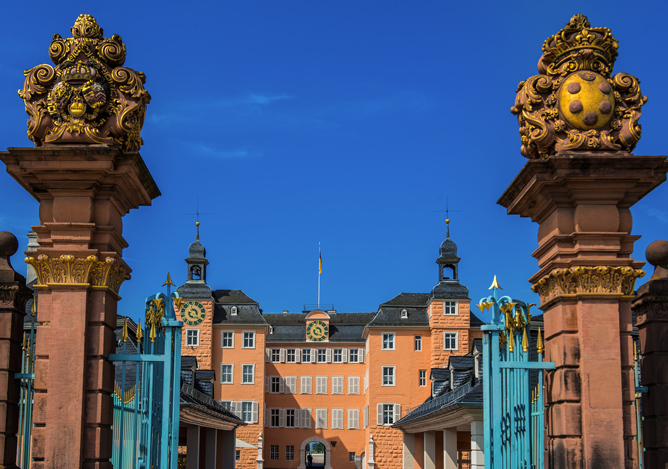 “It is idyllic here even at times when masses of visitors come flooding through the garden in summer.” A retreat – 250 years ago for Carl Theodor as well, one might think.